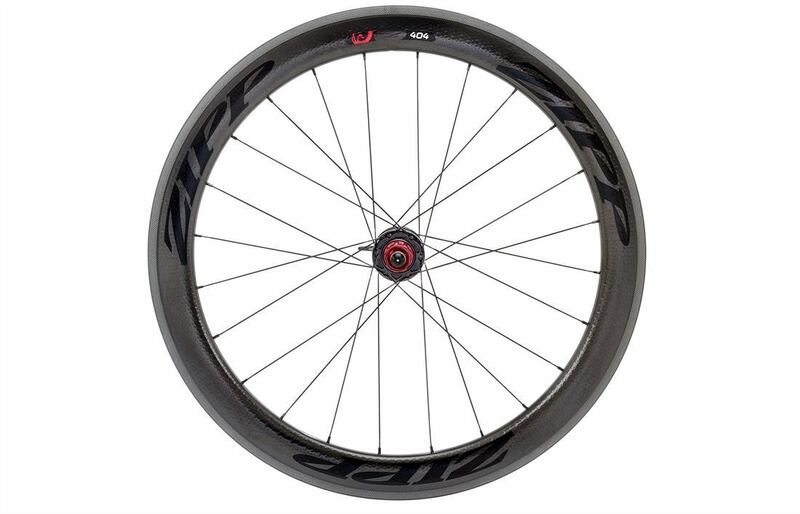 Click the button below to add the 2015 Zipp 404 Firecrest Tubular Rear Wheel to your wish list. Most pros pull for light weight over aerodynamics. The smart ones tend to look at aero first. The Zipp 404 Firecrest Carbon Tubular is for the smart riders. Sure, it's a bit heavier than the 303, but the shape is sufficiently aero to more than offset the difference on most rides and races. The wind is there only so long as you're moving, and if you're not moving, it isn't a bike ride. Tame the wind, and you'll go faster. Firecrest's wide shape does a great job of not only improving aerodynamics when the wind is coming from twelve o'clock, but it is even better when the wind is coming from the side. The shape changes the airflow over the rim such that the wind pushes less hard against the rim and then thanks to tuning the shape, the focal point of the pressure has been pushed back a bit, to be in line with the steering axis, making it easier to steer the bike with less arm strength in a crosswind. Firecrest also helps your tires roll faster. Tubulars have a set shape. The difference is that more of the tire casing is supported by the rim, which changes the way the tire responds to the pressure that bike and body place on it. More supported tire makes it easier to roll faster on less tire pressure. It also makes it harder to roll a tire, thanks to more surface area for gluing. This year, Zipp redesigned their 188 rear hub. Taller flanges, larger bearings, the left flange moved out a bit. They also changed the spoke pattern to 24 cross-two. The net change is lateral stiffness that is 25% greater than the competition's deep dish wheel, For you, this means the wheel drives harder, rides straighter when out of the saddle, and carves turns better. The wheels are delivered with quick release skewers and brake pads. Zipp strongly recommends use of their pads on their rims and warns against using carbon-specific pads on aluminum rims. The Zipp 404 Firecrest Carbon Tubular blasts off as a wheel for the smart all-rounder.